Inertial dampers ensure, through the structural design, mechanical energy dissipation due to vibration or noise generating source. Also these dampers allow, as result of vibration energy dissipation in volume of plastics on the one hand and as result of dissipative higher power efficiency and stability on the other hand (due to the high energy absorption distributed system) the use of corresponding nonlinear zone flexibility based plastics. Moreover, the spatial distribution of inertial masses ensure a more uniform thermal loading plastic base and can be achieved without breaking conditions thereby avoiding pregnancy and the development of concentrators zones in basic plastic. The same spatial distribution in conjunction with inertial masses form, their surface roughness and especially the flexibility of plastics allow obtaining anisotropic features extremely useful. 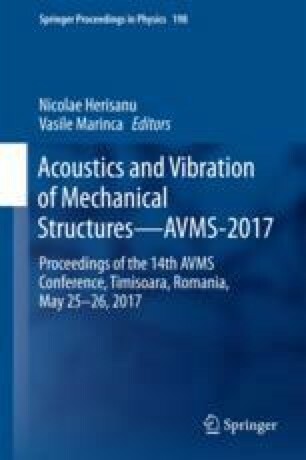 In this paper a study of a such type of damper is made.